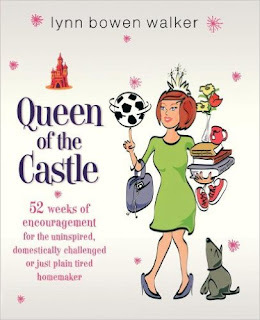 queen of the castle recipes: It Seemed Like a Good Idea at the Time . . .
And the less said about this, the better. We'll just not mention it again. 'Kay? Bless your heart. :) I'm glad to know I'm not the only one who has those little "disasters" now and then. And you are so funny. I know everytime I visit here I'm going to leave with a smile on my face from something you've said. Was this blue cheese (the strong stinky stuff) or blue cheese (we dyed the filling). Cuz' if it was the stinky stuff, yeah, I can see how we'd file under "flop". 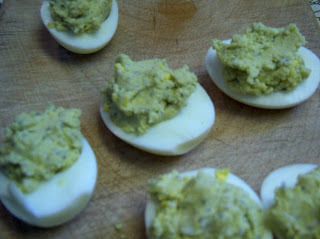 I had a flop recipe for deviled eggs yesterday, too! I'm mentioning it in my blog as well when I get my post up later today. It's nice to know others had failed deviled eggs, too. 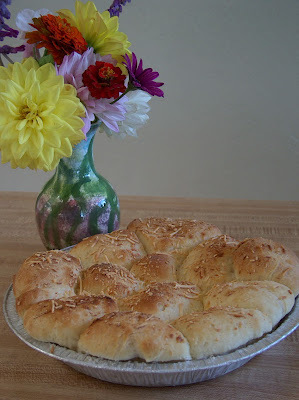 Normally such a crowd favorite, we actually threw some away! I was just thinking, "Why did she post that picture? It looks kind of yucky." and then I read the text. LOL. Thanks for the giggle -- and your honesty! When I saw a category called "flops," I had to check it out. Too funny! Thanks for the warning!